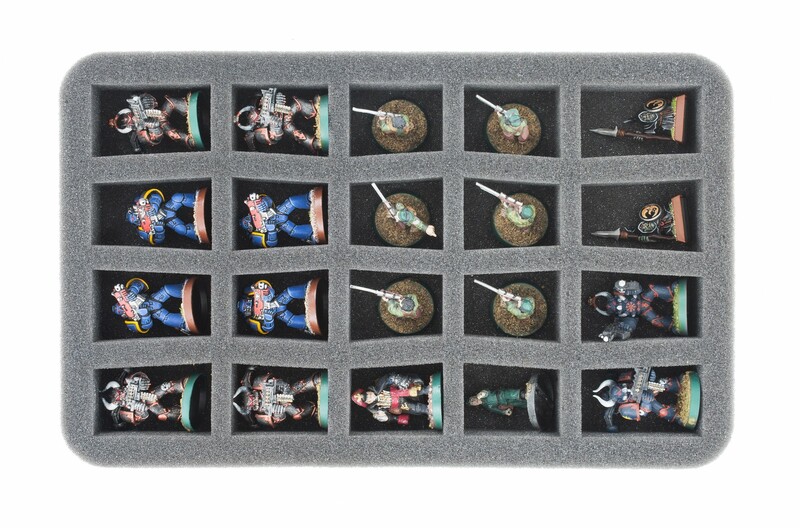 This MINI MINUS includes one 35mm Figure Foam Tray half-size. Foam tray with c-slot design. The slots have a conical footprint. 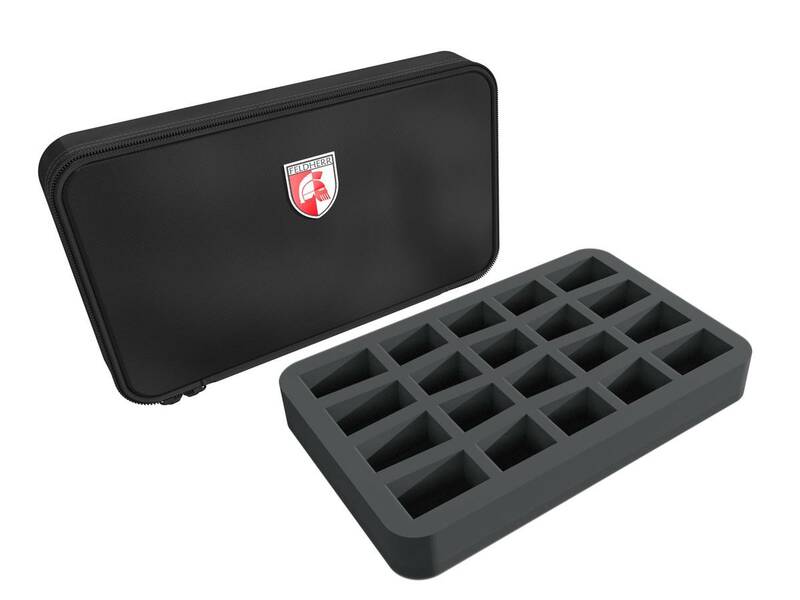 The dimensions of the foam tray with 20 slots is the same as that of the foam mat with 16 slots. We have space-saving rearranged the slots. The conical cut-out shape provides extra space for your miniatures.